If English isn’t your first language, studying in the UK can be very challenging. That's why we make sure you have the language skills you need to succeed right from the start. On this page we’ve listed our English language entry requirements and the qualifications we accept. You’ll also find details of our pre-sessional English for Academic Purposes (PEAP) courses. We accept a range of English language qualifications, including IELTS..
You’ll need to achieve the required grade in one of our accepted English language tests, such as IELTS. There are different types of IELTS test available, and it is important that you take the correct one. 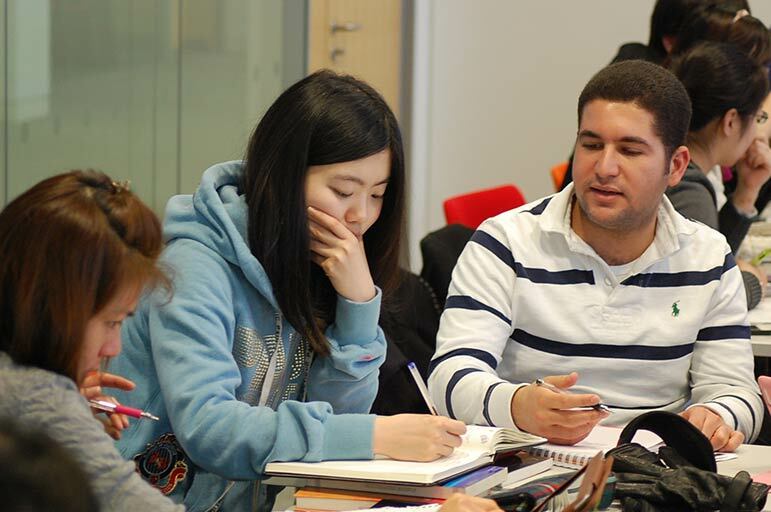 If you're applying for a degree level course you must have the IELTS academic test. If you’re applying for below degree level (such as pre-sessional English) and need a visa you must have an IELTS academic test taken at an approved UKVI testing centre. We've listed IELTS academic test grade needed for all courses in the table below. This requirement is for Year One entry only. If you're starting in Year Two or final year you'll need a higher grade of 6.5 with a minimum of 5.5 in each component. All postgraduate research degrees 6.5 with a minimum of 6.0 in each component (or equivalent). There are entry requirements for PEAP courses so that we can decide how many weeks you need to complete. To comply with Tier 4 visa regulations you must have an IELTS academic test taken at an approved UKVI testing centre. This requirement is for Year One entry only. If you're starting in Year Two or final year you'll need the higher grade of 6.5. BSc (Hons) Exercise, Nutrition and Health 6.5 with a minimum of 6.0 in each component. For 1-year Masters you'll need a 6.5 grade overall. For 2-year Masters you'll need a 6.5 grade overall with a minimum of 6.0 in speaking and listening. For the BPTC we accept IELTS (shown here) and the Pearson Test of English (Academic) with a minimum of 73 in each skill. We do not accept any other English language test. We accept any of the qualifications listed here as an alternative to IELTS. In most cases the grades specified are acceptable for courses requiring an IELTS 6.5 unless otherwise stated. If your course has a higher language requirement, or your qualification is not listed here please email us and we’ll be happy to advise you. The grades given for GCSE and IGCSE are considered equivalent to IELTS 6.5. IGCSE English: Cambridge International Examinations (CIE) English as a First Language (Syllabus 0500) Grade C overall required, with at least grade 1 or 2 in Listening and Speaking when these components are reported separately. Grade B overall with at least grade 1 or 2 in Speaking when this component is reported separately. IGCSE English Language qualifications offered by other Examination boards may also be acceptable Please contact the International Development Office for details. An English language component of a foundation or a pre-Masters course. Pre-sessional English language qualification from a UK university. 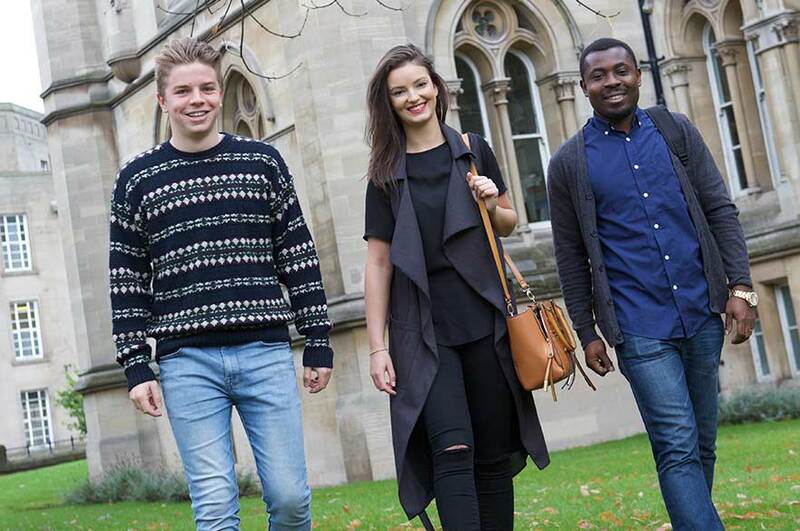 Undergraduate (Bachelors) degree-level study at other UK university. If you're already studying in the UK and need advice on your English language qualification please email international@ntu.ac.uk. Grades given below are considered equivalent to IELTS 6.5. Academic* qualification equivalent to a UK Bachelors degree. High School qualifications vary by state, please contact us for advice. Academic* qualification at least equivalent to a UK Bachelors degree. Bahamas Academic* qualification at least equivalent to a UK Bachelors degree. Other qualifications may also be considered - please contact us for advice on these. Academic* qualification at least equivalent to a UK Bachelors degree . *If you have this qualification and are not a national of this country, you will need to provide a UK NARIC English Language Assessment document in support of your visa application. If your country is not listed here or if you have any questions about your qualification please contact the International Development Office for advice. We offer pre-sessional English courses from 6 to 20 weeks. If you’d like to study at NTU and need help achieving our English language requirements, this course is for you. A PEAP course will help you meet any language conditions of your offer, it’s also a great opportunity for you to settle in to the University. You can make strong friendships with classmates and teachers as you improve your study skills and grow in confidence. There are entry requirements for PEAP courses. How long your PEAP course is depends on your current English level and whether you need a visa. If you’re applying for a visa to study your PEAP course you must have an IELTS academic test taken at an approved UKVI testing centre.